· Signing of mandatory certificates of compliance by the designer prior to construction and by the Assigned Certifier and the Builder when a building is complete. Local authorities in their oversight role, will now take a more practical risk-based approach to inspections. Given the incidences of serious failures in relation to apartment blocks in particular, they will be expected to prioritise compliance in relation to this category of buildings in future. The new approach establishes a clear chain of responsibility for building works. · gives homeowners traceability and accountability at all stages of the building process. · homeowners who encounter a problem can access documentation to help identify the source of the problem that will help lead to a solution. · There will be a better standard of professional service and workmanship for consumers. The new regime will reduce the incidences of defective works on site and the resultant associated costs of carrying out remedial works will reduce accordingly. Owners/developers will now be required to assign a competent person (i.e. Assigned Certifier) to inspect and certify the works. Industry sources suggest this requirement will typically cost between €1,000 and €3,000 per housing unit, to the overall building costs, although in reality this cost will be decided by market forces. There have been wild exaggerations of the increased costs that the new Regulations will impose on the self-build home sector. There is no change in the technical performance standards which a newly finished home must meet. The statutory obligations that currently exist in a self-build scenario are not new – they already apply under the Building Control Act 1990. Any person who intends to build their own home (e.g. by direct labour) can still do so. 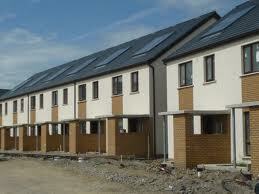 As before, the building must be built in accordance with the Building Regulations. The only change is that they will incur the additional design and certification costs outlined above. There should be no additional building costs. Nothing in the new regulations prevents direct labour – owners are required to satisfy themselves that persons they engage to carry out works are competent. o The owner will, as before, assume responsibility as builder for ensuring that the building will comply with the building regulations. They must also satisfy themselves that any one they employ to undertake works is competent to do those works. o At commencement, they will notify the local authority that they themselves are the builder and sign the builder’s undertaking required for building control purposes. certify the design, and inspect the works (i.e. Assigned Certifier). o The design certifier and the assigned certifier can be the one and same person. This Assigned Certifier will be the point of contact with the building control authority for lodgement of compliance documentation and certificates, etc. o At completion the Self-Builder and the Assigned Certifier will both certify the building in line with their responsibilities. The Department of the Environment, Community and Local Government has engaged with the Irish Association of Self-Builders to ensure that the Self-Build Sector can continue to play its part. Work involving renovation work or extensions less than 40 square metres to existing dwellings do not come within the scope of the Building Control Regulations. Only professionals on one of the three statutory registers, namely of architects, building surveyors or chartered engineers, may certify designs and/or act as Assigned Certifier under the new Building Control Regulations. In view of issues and concerns raised in relation to access to the statutory register of architects, Minister Hogan tasked Mr Garrett Fennell, Solicitor, to carry out a review of the routes to entry to the statutory register. Mr Fennell submitted his report last September and the Minister has confirmed that he intends to implement the report recommendations in full. This will ease access to the register for many.